accompany my lil brother to do a test in Juanda and i wanna look for another escape by seeing the sea. iih lucu bgt warna harem pants-nya..!! jilbabnya bahan apa put? bagus! 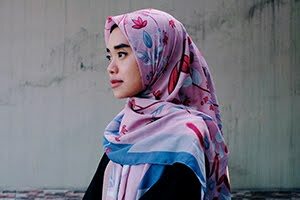 lucu deh.... nice to meet u here girl..
i'm syafiqah from malaysia.i'm soo interested with this hijab style.if you dont mind hope you can make a tutorial how to wear the hijab and share with us with bright and colorful shawl so its easy for us to understand.